As it is used for cutter rotating at high speed, I think that it is a severe condition. I have replaced it several times (other products). It's cheap but it's solid. As we do not use for a long time yet, we think that durability is understood from now on. It is likely to be this at the next exchange. This review is about item#39325544. It is cheap, but there is a sense of stiffness in the rotation resistance and initial operation. 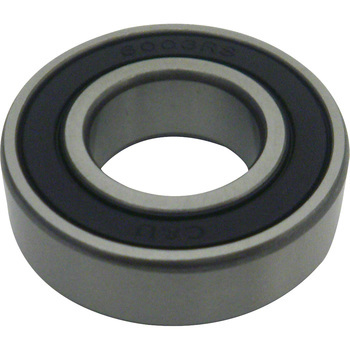 The bearing of NTN is expensive but it turned out to be good. This review is about item#39325553. At the bearing of the rear suspension. I used it for 8 years until the bearings melted. I was worried about the change but I am satisfied with it! This review is about item#39325535. I tried it instead of a genuine product, but it was of qualitative quality at all. I will definitely purchase it next time. This review is about item#39325571. Used for maintenance of woodworking motors Uses no problems until now, cheap early delivery. This review is about item#39325562. The metal bearings' cover has no airtightness, so I tried using this one this time. I do not know the durability yet, but it is cheap and I am saved. There is a little clearance, but the price is cheap, so it is usable. This review is about item#39325614. I think that you can use it enough if you do not demand high precision long life. . This review is about item#39325623. Because our mounting technology is immature, due to product tolerance, incorporate it at the appropriate Atari (thought to be appropriate for the shaft) and close the dust cap with a torque difficult to say with a tool with a tool , The feeling of rotation is undesirable (the feeling like Atari is "Kappu and Kon"). Actually, in this state Atari seems to be too tight, so bearigs will soon reach their end of life. Since this hub (or say novatec in general) is a dust cap that can not be adjusted at the Atari, we now close the dust cap with a torque that can be locked without using a tool and use a low strength screwdriver to loosen the looseness Prevent it and see the situation. So there is no big price difference, here we deal with NTN's Bear Rig, so if you think about performance, it may be safe to pick one of them from the beginning, but get accustomed to this hand replacement It may be good to use these inexpensive products for proficiency in work up to.